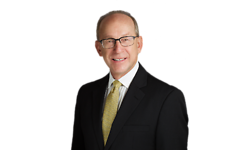 C4CM Webinar ~ "How to Write Compliant Job Descriptions that Decrease the Risk of Employment Litigation"
Join aalrr partner, William Betley as he conducts a webinar for the Center for Competitive Management (C4CM). The topic is ‘How to Write Compliant Job Descriptions that Decrease the Risk of Employee Litigation." Are your job descriptions accurate, up-to-date, and legally compliant? If not, your organization may be next-in-line for a devastating lawsuit or non-compliance liability claim. Methods to assure that job descriptions do not become obsolete.